The son of renowned actor Stellan Skarsgård and the brother of , Bill Skarsgård is the middle son in a family of six children. Two of his older brothers (Alexander Skarsgård and Gustaf Skarsgård) have successfully pursued careers in film, while his other older brother, Sam, after appearing in one film at age five, opted to instead follow in their mother's footsteps and became a doctor. 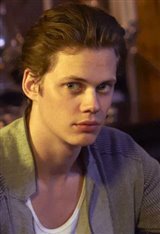 Bill began his career at age 11 with a role in the Swedish film Järngänget (2000) alongside his older brother, Alexander. Two years later, he nabbed a role in the 2002 Swedish mini-series Pappa polis. Roles in several more Swedish productions followed, and in 2011, Bill appeared in the feature film Kronjuvelerna alongside Swedish actress Alicia Vikander, who would also go on to make it big in Hollywood. Bill made his first appearance in an English language film when he played the role of Makhotin in the British production Anna Karenina (2012), starring Keira Knightley and Jude Law. Having proven he could work in English, Bill landed a regular role on the Netflix original series Hemlock Grove, playing Roman Godfrey alongside Famke Janssen and Dougray Scott. Since the series came to an end in 2015, he has appeared in the major motion pictures Allegiant (2016) with Shailene Woodley and Atomic Blonde (2017), opposite Charlize Theron. Also in 2017, he starred as the evil clown Pennywise in the horror movie IT (2017), a new adaptation of the novel by Stephen King, and as the lead in indie film Battlecreek (2017). Most recently he appeared in the thriller Assassination Nation (2018) alongside Odessa Young and will reprise his role as Pennywise in IT: Chapter Two (2019).